Rug Sizes - Experience The Exceptional Range At Carpet Court! 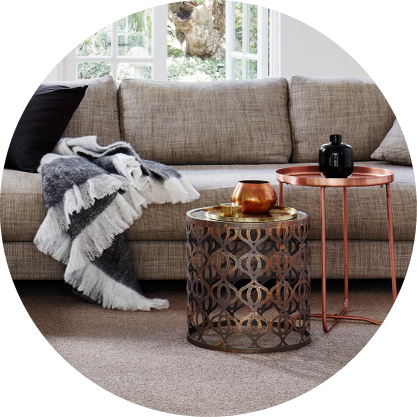 When shopping for a new rug, most people are in favour of making their choice based on shape, colour and design. However, the size of a rug is one of the most important factors and is almost always overlooked. The size of a rug can make or break a room and getting it right is the key to making a room look great whether it is to finish off a particular look or define a space within a large room. Before choosing a rug, it is important to take measurements of the room it will sit within to ensure that the the proportions are correct. A rug that is too small will look like an afterthought, whereas a rug that is the right size will make a statement while still fitting in with the rooms' style. 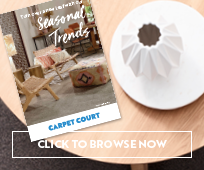 Explore our range of different sized rugs online or visit our store pages to see whether your local Carpet Court store stock's rugs. How do you pick the right sized rug? Great question, and one that is often overlooked in favour of shape, colour, design and fibre. But when it comes to rugs, size does matter! Before you go rug shopping, check the dimensions of your room. If it is open plan, measure the areas you want to define with a rug. 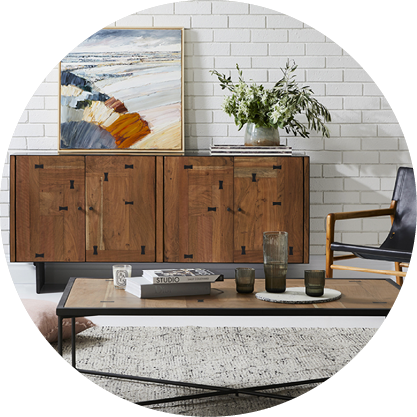 Buying a rug that is too small in proportion to the room or space won’t work at all. But you can go as big as you like, within the diameters of the room, and it will always work. 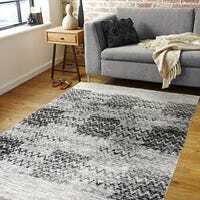 A rug that is too small will look small and insignificant and seem more like an afterthought than a vital component of the room’s interior style. 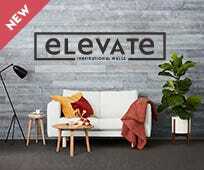 And speaking of interior style, don’t underestimate the ability of a rug to unite all the components of your floorspace and complete the look you’ve worked hard to achieve. We know that every space is different, so at Carpet Court you will find rugs in a variety of sizes to complement the cosiest home unit and the biggest family mansion. What rug sizes can you choose from? 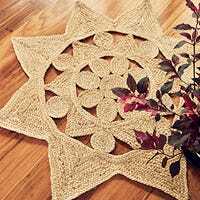 If you need a cute little rug for your tiny kitchen or sunroom, we have round Jute rugs starting from as small as 1.20m x 1.20m. We also have a huge selection of rectangular rugs in many sizes, so if a rug like the gorgeous, pure wool Colombo in a handwoven loop pile works for your space, you can find it as small as 2.25m x 1.55m or as big as 4.00m x 3.00m with several sizes in between. What rug size is best for a living room? 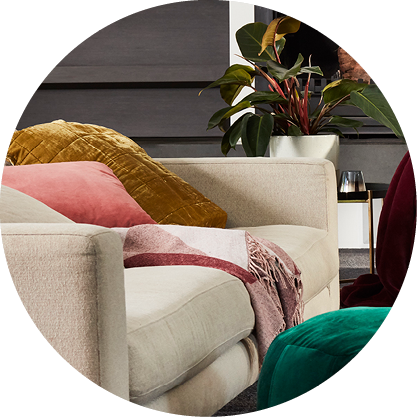 Of course every living room is different, so the ideal rug size for your living room is one which sits beneath the sofa with about 600mm to 700mm surplus on either side so that your side tables and coffee table all sit comfortably on the rug too. 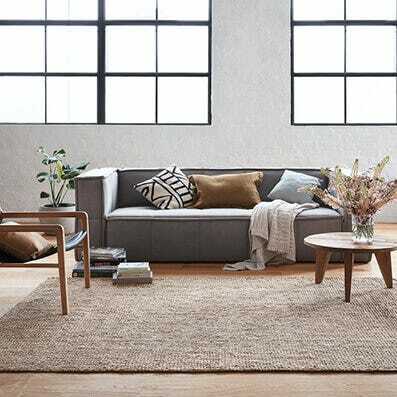 If you prefer your rug to sit in front of your sofa, not beneath it, it should be as wide as the sofa. The rug should define the space, so allow it to encompass at least some parts of all of your chairs, sofas, coffee and side tables. What sized rug should you pick for your dining room? 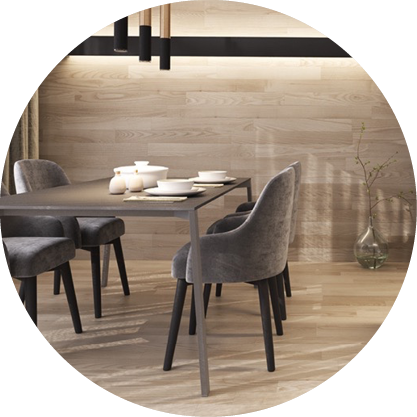 Your dining room rug should be large enough to accommodate the dining table and all of the chairs when they are in use. Why is this important? Because if the rug is too small the chairs will get caught on the edge when they are pulled in or out and your dinner guests may end up on the floor! As long as you get the size right, you can choose a rug shape which reflects either the shape of the room or the shape of the dining suite, both will work if the rug is large enough. Feast your eyes on the sumptuous selection of rectangular rugs available from Carpet Court – they’ll be the icing on the cake in your formal or casual dining area. What rug size is best for a bedroom? Similar to the living room, it depends if you prefer a super-sized rug which extends from under the bed to all around it, or smaller rugs placed alongside the bed. If you really want to feel as snug as a bug in a rug, the current trend is towards big rugs fully encompassing the bed, the bedside tables and measuring a good metre beyond the perimeter of both. This is the ideal way to add softness, comfort and insulation to your bedroom. Beautiful rugs are the perfect items to complete your home décor. 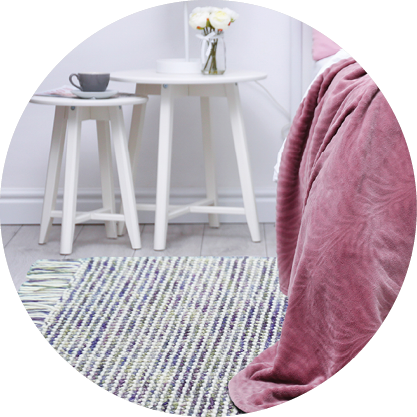 Don’t forget the to check the size of your room and the floorspace you want to cover before you shop online or pop into your local Carpet Court store for a luxuriously soft and snuggly new rug.